In the "good old days", all cabinets were built from honest-to-goodness milled lumber. And, in fact, when our customers order custom kitchen cabinets, that's what they still get. Available for both cabinet refacing and entirely new cabinetry, laminate kitchen cabinet doors are a bird of a different feather—and a more affordable one at that. 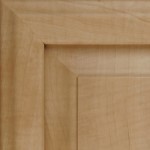 How are Laminate Doors Made? Laminate is a thin covering, bonded to a wood structure using a strong adhesive. This is one of the reasons why laminate cabinet doors are more affordable, and why they are easier to maintain in the long run. Making the Laminate. Laminate just means, a material created from two or more materials fused together. In the case of laminate cabinets, the laminate material is usually comprised of a resin and paper material that are fused together using high heat and pressure - hence the term High Pressure Laminate or HPL. Artistic renderings make the laminate look just like any wood finish and sometimes real woods are infused into laminate to appear more authentic. This is why a cherry laminate finish might be more expensive than an oak laminate finish. Even though they're ultimately manufactured, the cherry finish might involve real cherry hardwood, which is more expensive than other wood materials. Once laminate layers have been fused together, an ultra-durable clear finish is applied to the top. Making the Structure. 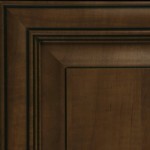 Laminate finishes have to be adhered to something else - in this case, your kitchen cabinet door structure. 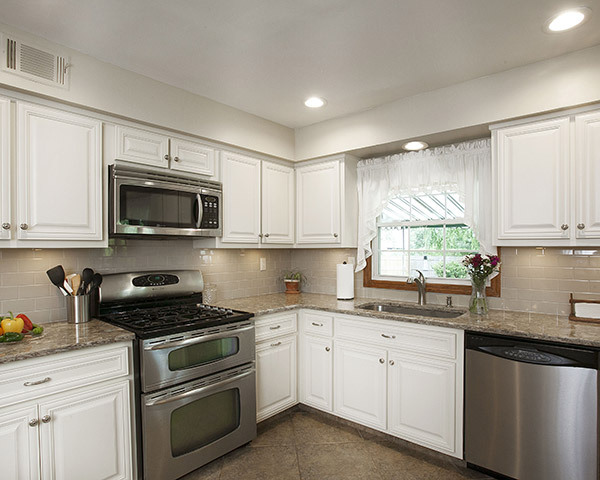 This is where Kitchen Magic cabinets are much higher quality than most other laminate cabinet products on the market. In most big box stores, or pre-fabricated cabinets, high pressure laminate is fused to particle board. Ugh! 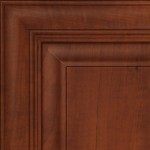 This is why a gorgeous "cherry cabinet" will not look nearly as luxurious on the backside as it does on the front. Materials will feel flimsy and will not be able to handle much wear and tear without breaking down. 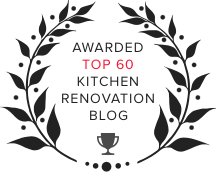 At Kitchen Magic, we use a high density furniture grade core to support your laminate finish - and honor our commitment to quality products and craftsmanship. The difference between a Kitchen Magic laminate cabinet door and a prefabricated one is night and day! Maintaining the Laminate Laminate cabinets are easy to maintain as long as you follow manufacturer's instructions. However, because the laminate finish is only a layer or two deep, any deep scratches, abrasions, etc. can be more difficult to repair since they can't be sanded and refinished. 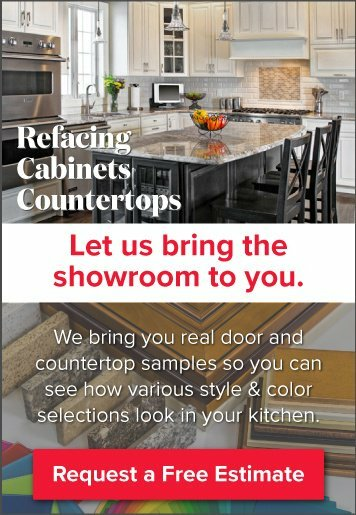 Now that you're an expert on laminate cabinet doors, feel free to invite us over to show you some samples. 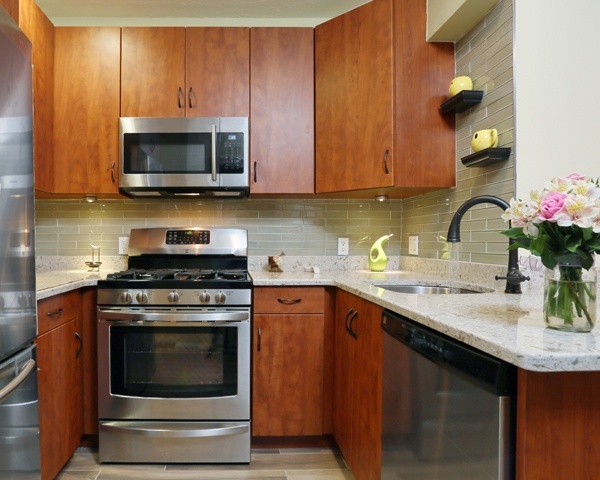 We'll help you pick the perfect cabinet doors for your new kitchen.